How much does it cost to open a Pizza Factory? The average cost of opening a Pizza Factory location is dependent on many factors, but averages between $372,000 and $562,000. 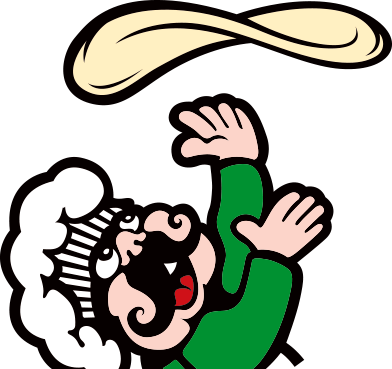 The standard franchise fee for a Pizza Factory franchise location is $30,000. Our royalty fee is 5% and our advertising fee is 3%. If I don’t meet the minimum financial requirements, what opportunities are still available to me? If you don’t meet the minimum financial requirements, you can purchase an existing Pizza Factory location which often is lower in cost. No cash? earn it via employment in one of our Pizza Factory stores – many of our franchisees have started out as team members and worked their way up! Do most owners work in their businesses? Yes, most of our franchisees are owner-operators and enjoy interacting with and serving their community daily. However, we have several multi-unit operators that successfully employ general managers as well. Are there opportunities to acquire existing restaurants? Yes, we have opportunities available to acquire existing restaurants. No matter your experience level, we are committed to training our franchisees to equip them with everything they need to know to run their business successfully. The training process includes seven days in the training kitchen and home office along with four weeks of in-store training. Click here for more information about the training program that Pizza Factory offers to its franchisees. What makes Pizza Factory different from other pizza franchisees? We’re a company owned by our franchisees. Our family culture and community involvement is prevalent in every aspect of our business. We take great pride in the ingredients we serve and are committed to never using frozen products, only 100% real hand-shredded mozzarella, hand-tossed dough made fresh in store daily, homemade meat sauce and meatballs made from scratch in our stores. We have strong vendor relationships which means no markups to you on our products. We offer our franchisees large territories with lower start-up costs than many similar franchises. Does Pizza Factory offer a veterans discount? Pizza Factory offers a 50% discount to the franchise fee for qualified veterans. Click here for more information about veterans in the Pizza Factory franchise system.